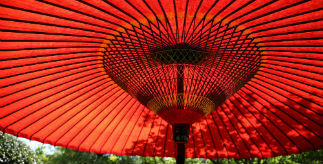 Our 'Know Before You Go' guide to China, supplements the travel advice issued by the Foreign and Commonwealth Office. How long in advance should I prepare? Ideally, you should prepare at least two months in advance for your first visit. How do I get my visa to China? The Guangzhou Centre of the University of Birmingham could issue an invitation letter with your passport information (name, number, date of birth and expiry date, etc). If you are visiting Hong Kong on the same trip, please note that it would require a multiple entry visa in order to return to China after the visit to Hong Kong. How do I start planning my visit? Where shall I look for support? 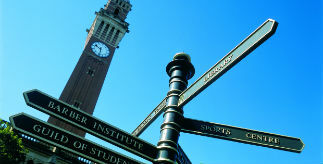 The China Institute will be able to advise on the existing links that have been established between the University of Birmingham and China. These platforms would useful to capitalise on. 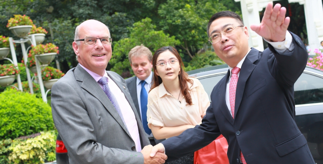 The University of Birmingham’s presence in Guangzhou, and Shanghai will provide information on local economic development and local areas of interests in research. Make sure you provide sufficient information on your interests and objectives, which would be more useful for the offices to arrange suitable meetings. (an attached form to be used for requests of support). If you have already had or identified contacts in the region, it would be useful if you could also provide that information, so that the offices would be able to specify those contacts in meeting requests. You will need about a hundred business cards for a week’s trip. It is advisable to get these translated into Chinese, as this makes it easier for your contacts to address you with the correct pronunciation. Job titles are also important, by which they judge your seniority and relevance. It is advisable to go with an interpreter to those meetings of new contacts. You may find that even if your contact speaks English they would be relieved to have an interpreter present. When travelling around, e.g. by taxi, be prepared with destinations written in Chinese (preferably get directions e-mailed to you in the UK before your trip; the concierge at your hotel may also be able to help). Not all restaurant/bar staff will speak English. Some restaurants will have menus in English, in others you will just have to point. A mobile phone (with international roaming) can be essential if you are relying on taxis if you are to find the right location for meetings - don't forget to programme in contact numbers before leaving home; and don't forget your phone charger will need an adapter! Keep up-to-date by looking at the China Travel Advice on the Foreign and Commonwealth Office's website. Generally, China is a safe country apart from pick-pockets in crowded areas. Always keep your passport and valuable items close to you. If you are at exhibitions, don’t leave your phones or laptops out of your sight. Taxi drivers in Guangzhou are generally honest, though standards of driving are very poor (for all forms of road traffic), and they don't always know where places are. Yellow, Red and Blue taxis are regarded as more reliable. At airports and stations, only get taxis from the official taxi rank. The new Guangzhou airport is around 40 minutes away from the centre of town. Expect to pay around RMB140 to get to central Guangzhou by taxi (in addition to the fare shown on the meter, you will have to pay RMB15 for the toll fees). The alternatives are to take one of the airport buses, which cost around RMB19-22 depending on the destination. The Centre could help booking the transport from/to Guangzhou airport. The travel cost will be covered by your own budget. Punctuality is important. Traffic in major cities during rush hours can be as bad as in London. Therefore it would be necessary to plan in extra time if you have to travel during rush hours. Give your business card out at the start of your meeting (with two hands, Chinese language side up). Read their business card carefully if it has English as business cards are considered important. It would be a good practice to mark down dates on their business card for future follow-up. Make sure you allow time to brief your interpreter before a meeting to run through any questions they have. Let them get used to your way of speaking. Speak in manageable sentences or interpreters will not be able to translate the meaning of what you are saying. Ask your interpreter for feedback. When you’ve finished the meeting, ask your interpreter how it went – Chinese can learn a lot from body language that UK visitors may miss. They can also advise you what you did right and wrong. You may be invited to dinner after meetings, which provide good opportunities to continue discussions in a more relaxed environment, and to build rapport with your contacts. Familiarising yourself with Chinese dining etiquette before you travel will help you to understand and enjoy such occasions. It would be important to conduct a follow-up in time, which could be done through e-mails/fax or through the University offices in China. The reasonable follow-up time would be within 2-3 weeks, otherwise your contacts may think that you have lost interest in them. It is advisable that you copy your visit reports and follow-up e-mails to the University offices in the region. These are useful records for future communications and activities.